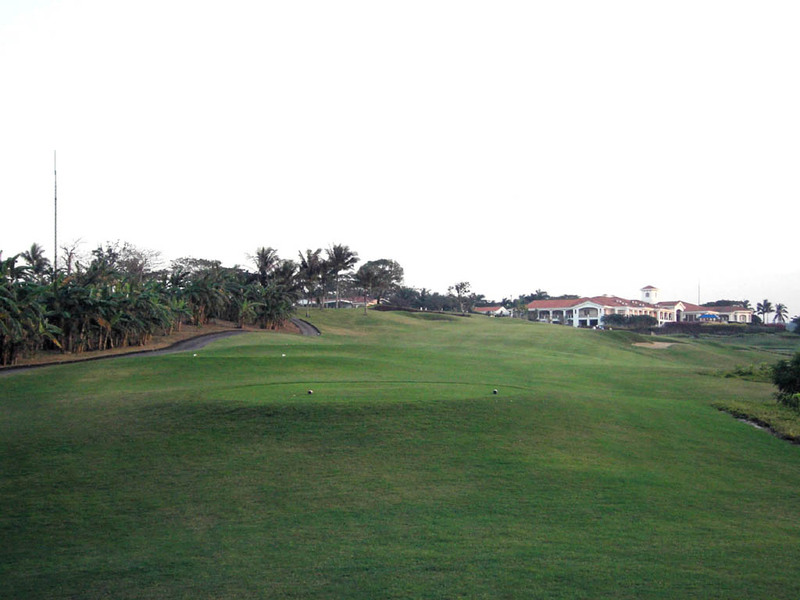 The fairway slopes sharply from right to left, so you need to drive to the right edge of the fairway. 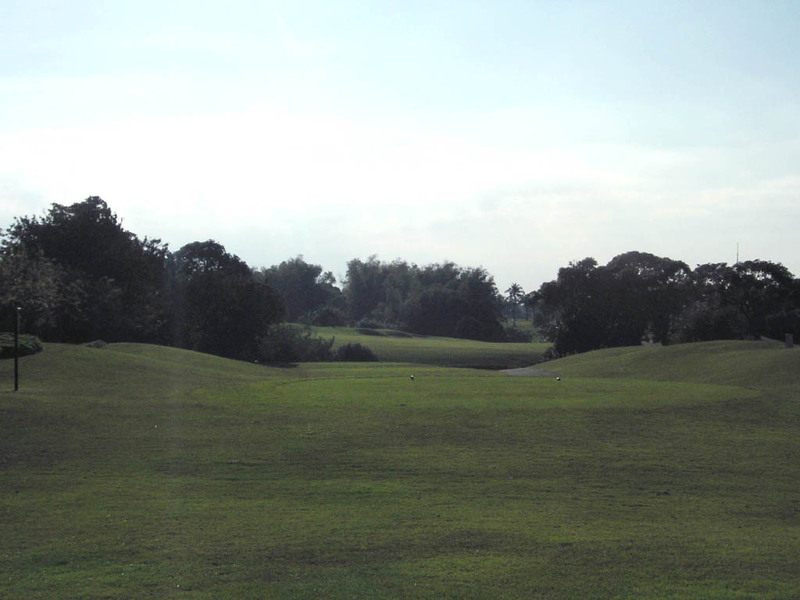 The left sides of the green and fairway border the deep ravine. 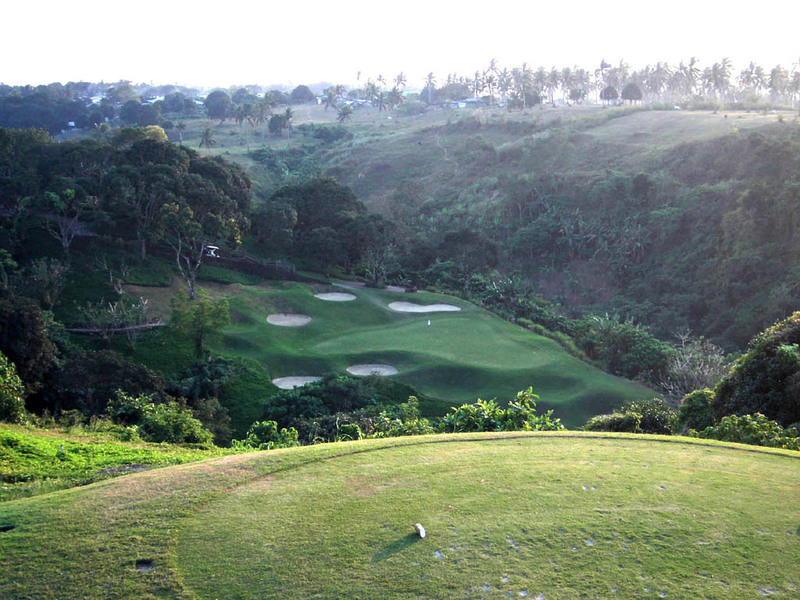 A slightly downhill par 3 over a ravine. There is a cliff on the left of and behind the green. The bunker in front right of the green comes into play, too. 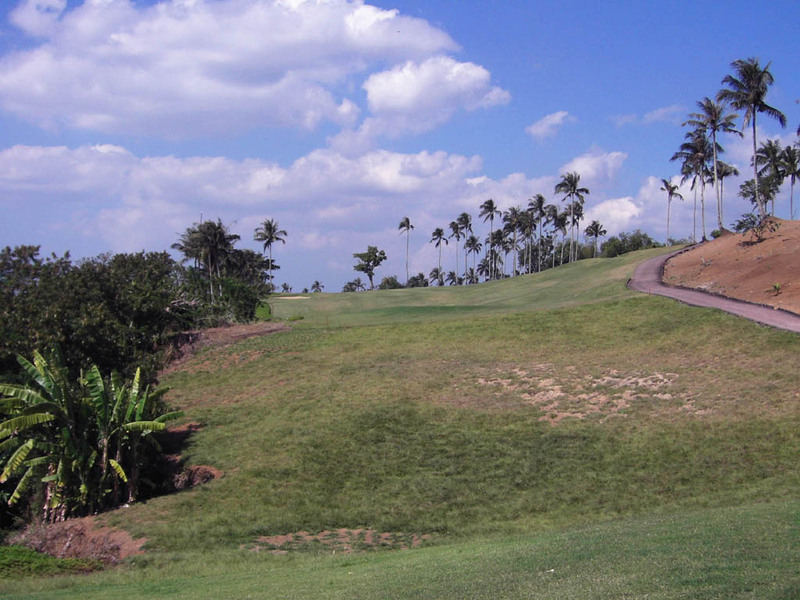 This long par 5has a cliff on the left and the fairway slopes from right toward the cliff, so you should hit the tee shot to the right edge of the fairway. The shape of the green is unique because it is double-tiered sloping from the front to the back. When the pin is on the back tier, you can't aim at the pin directly because the slope causes a really nice shot landing around the pin to roll off the green. This hole is excellent unless the pin position is on the back tier. 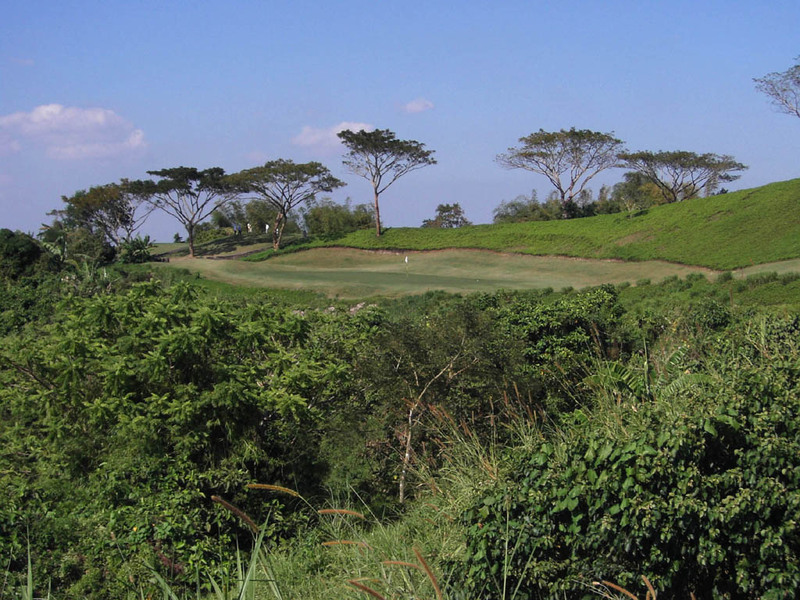 A challenging par 3 with a ravine facing the front and left sides of the green. A right to left player needs to be careful because with too much draw the ball could end up in big trouble. 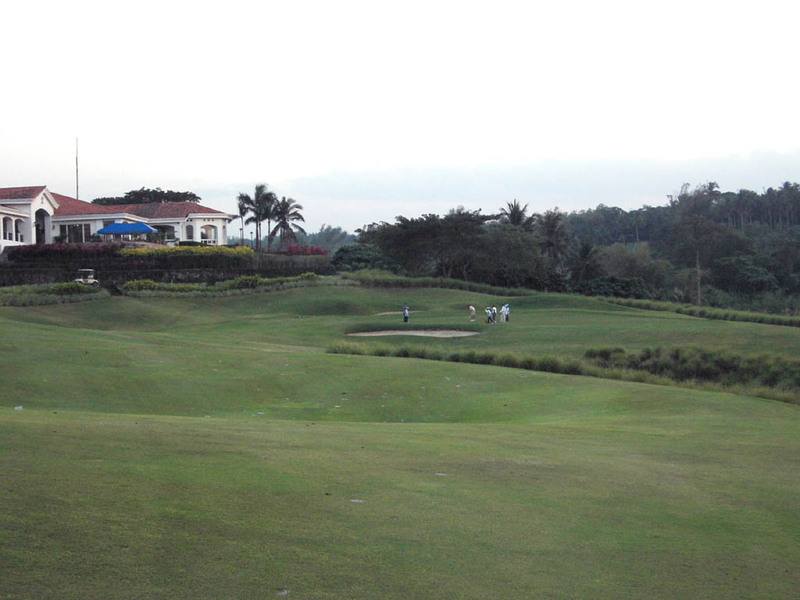 There are many par 3s with hazards facing some sides of the greens. 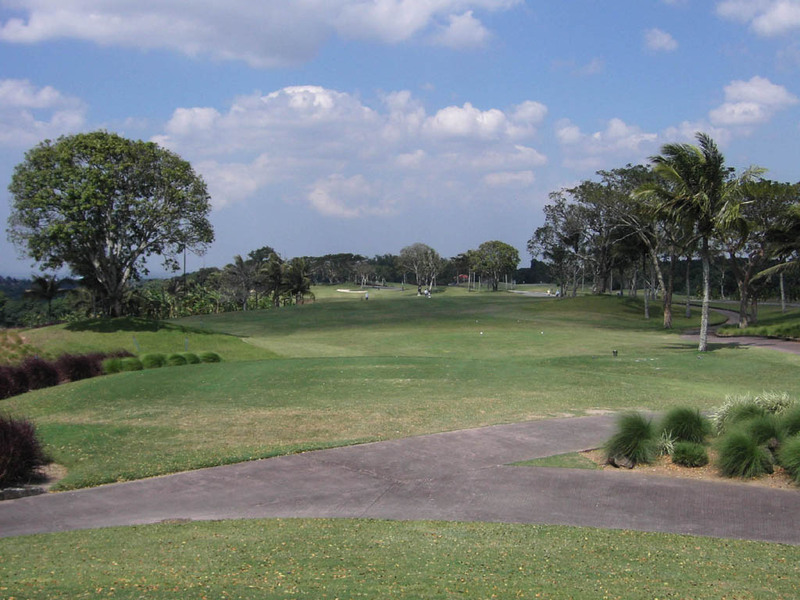 Most of the hazards are man-made lakes, but the holes make full use of natural elements, so it is very charming. 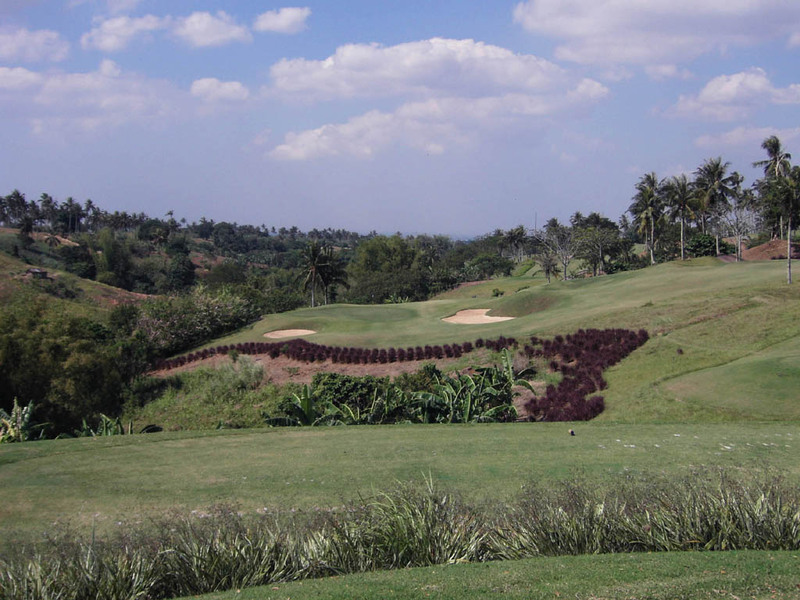 There are deep ravines on the left sides of the fairway and the green. A creek crosses in front of the green. 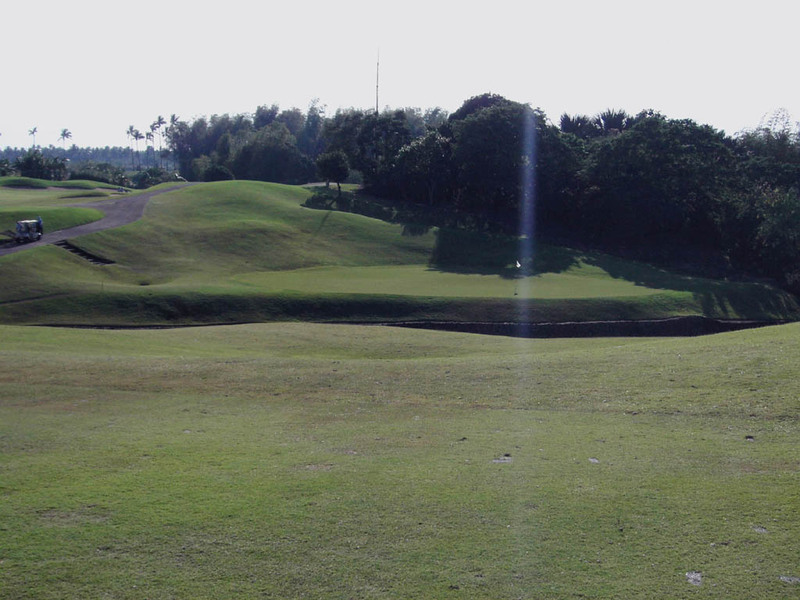 A short par 4. 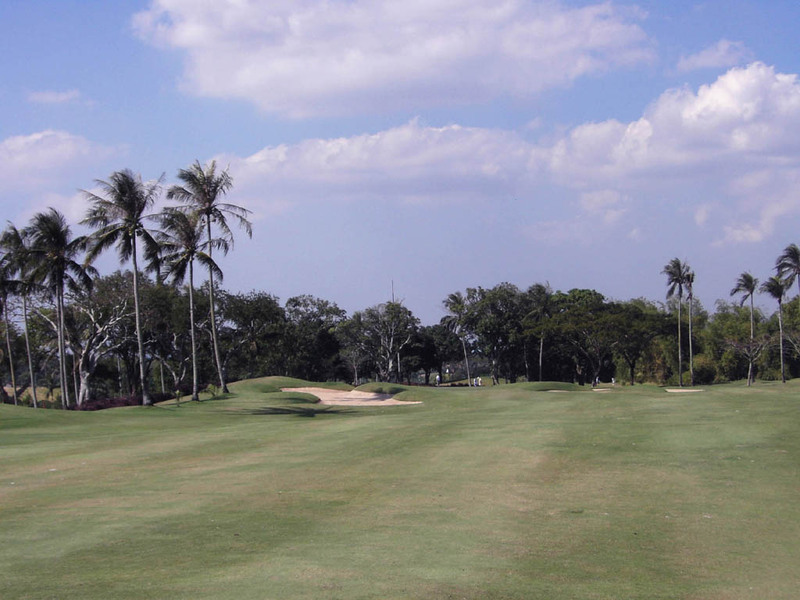 You need a carry of 200 yards to clear the bunkers on the right half of the fairway. The green is well below the fairway. The green is wide and double-tiered to the back, and its front side borders a river. 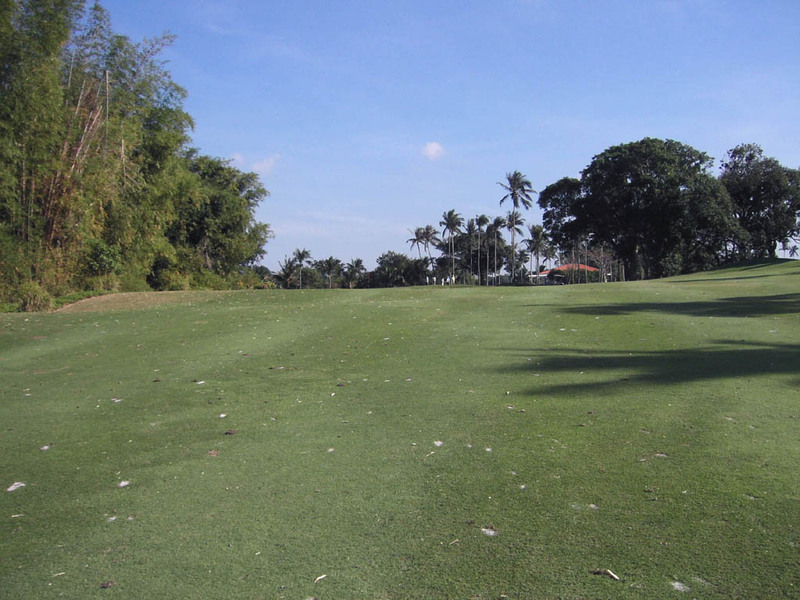 When the pin is on the front tier, only 10 yards wide, the approach shot is difficult. If you hit short, it will be in the bottom of the river. 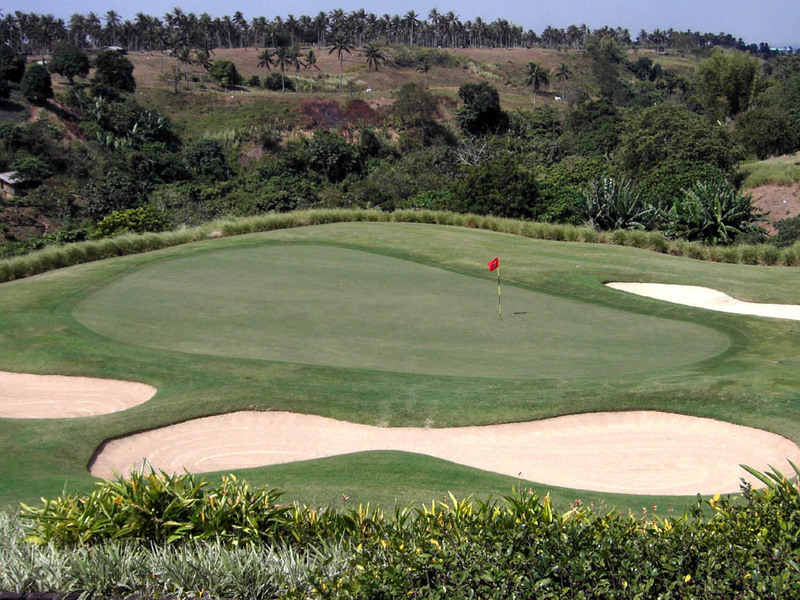 If you hit long, it will be on the back tier where you will face a risk of 3 putts because of the downhill slope. Needless to say an accurate approach shot is a "must" on this hole. To read more about Ranger Course at Riviera Golf Club, click here to visit my website. 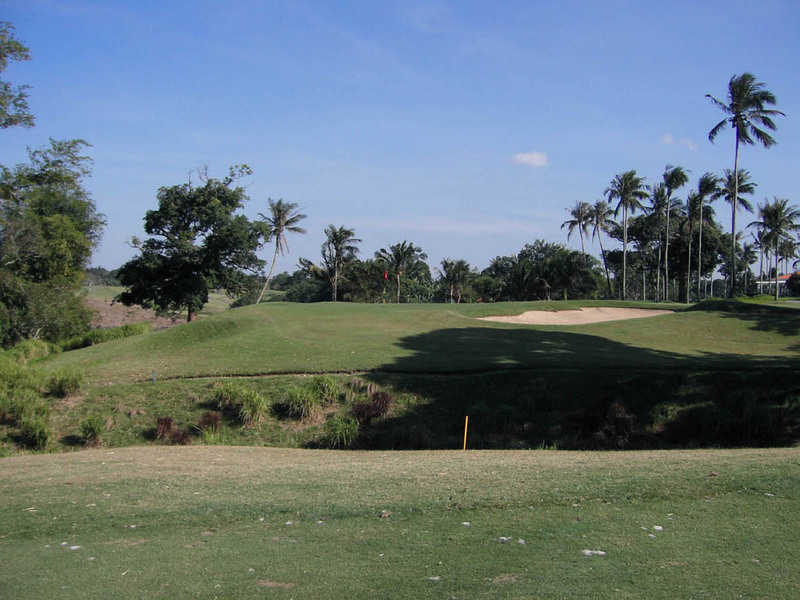 This medium length par 4 varies widely as the tee shot is over the ravine and the second shot is over the river. 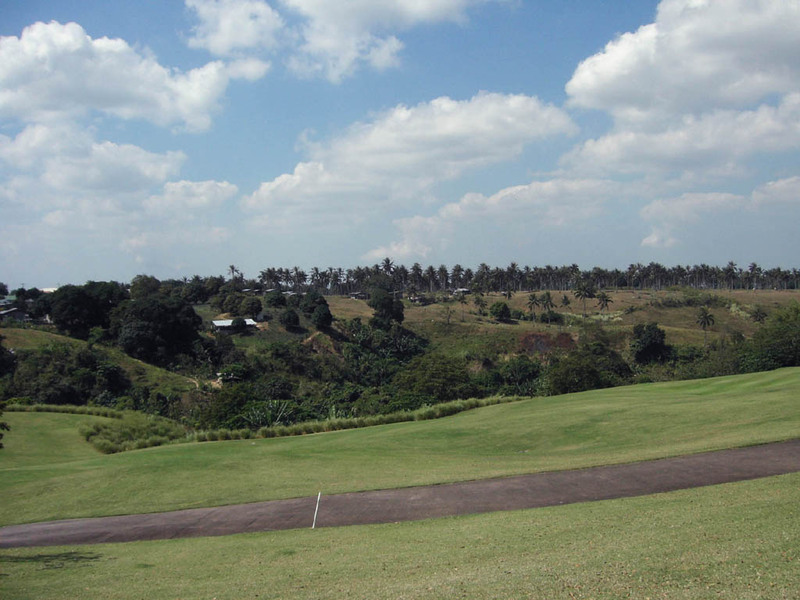 The landing area off the tee is surrounded by trees and it looks like “an island fairway”. 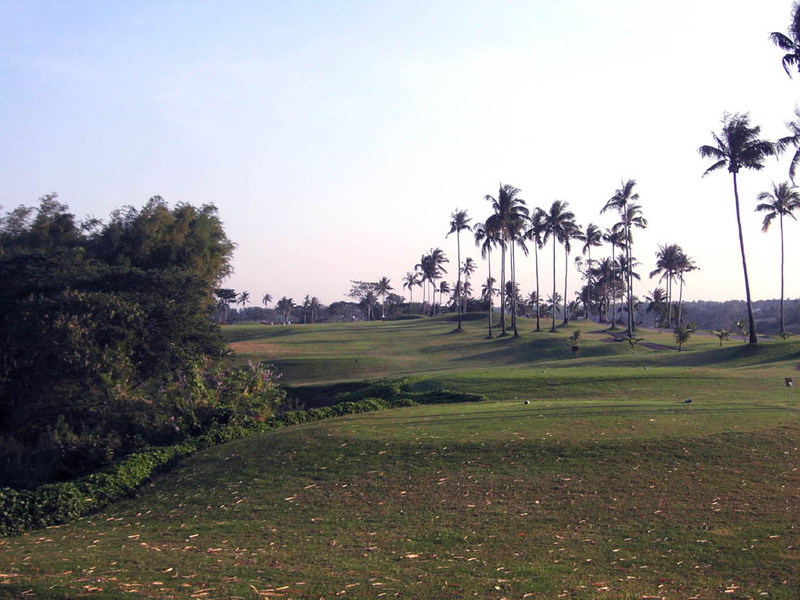 A par 5 with a deep ravine on the left. 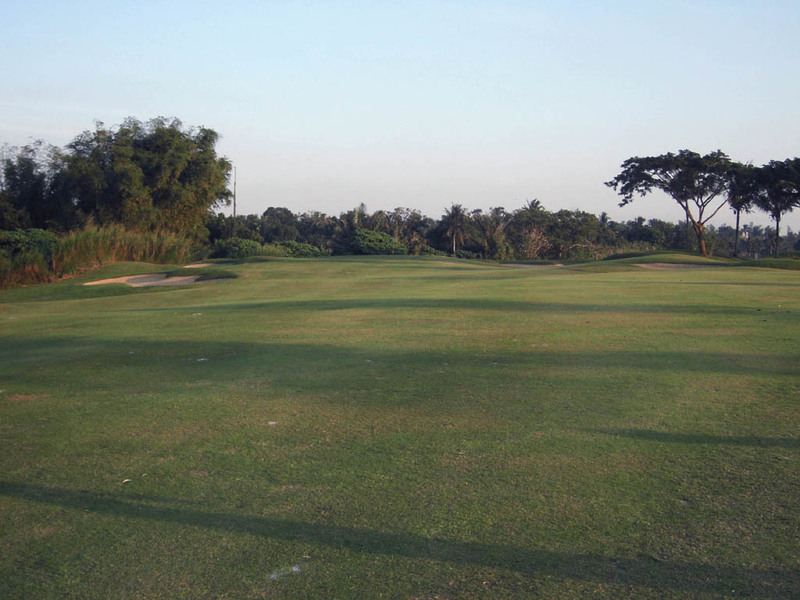 The green is slightly elevated and shared with Hole 3, so it is very long. 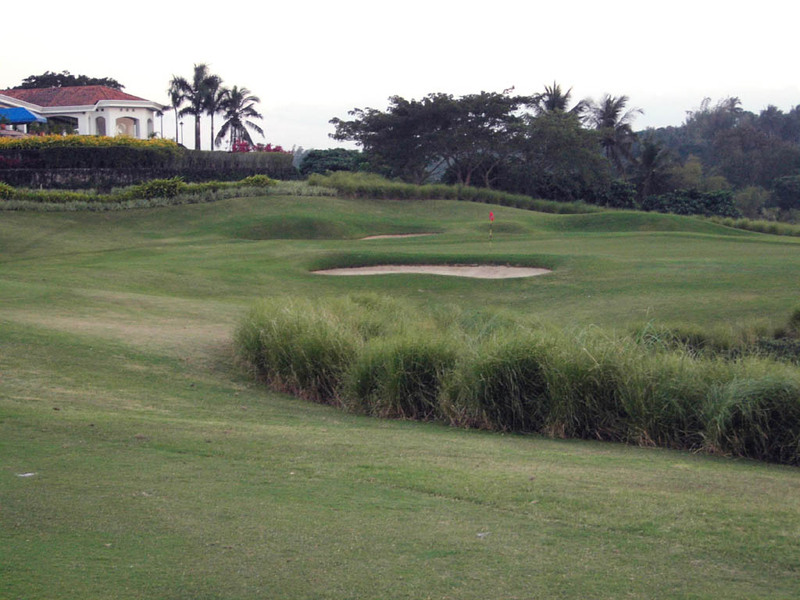 A dynamic par 3 with a small kidney-shaped green that is well below the tee. 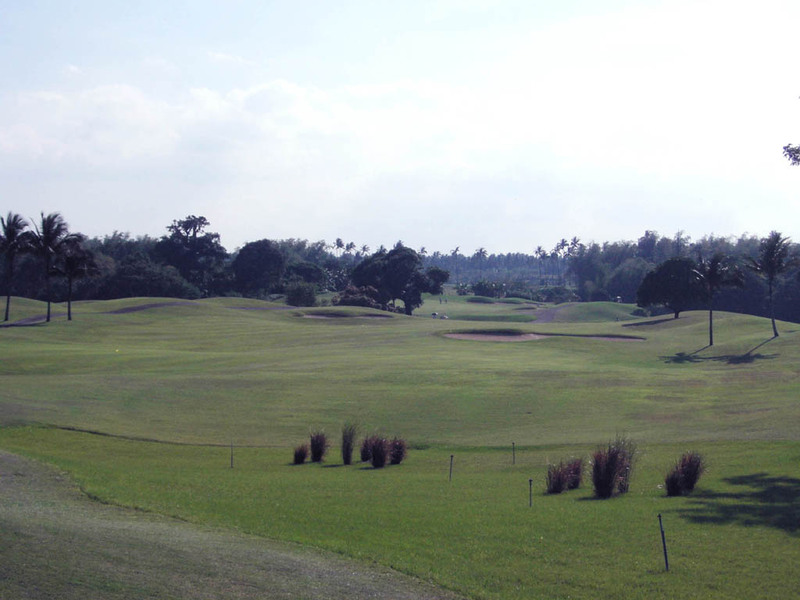 The green has subtle undulations. The view on this hole is splendid. 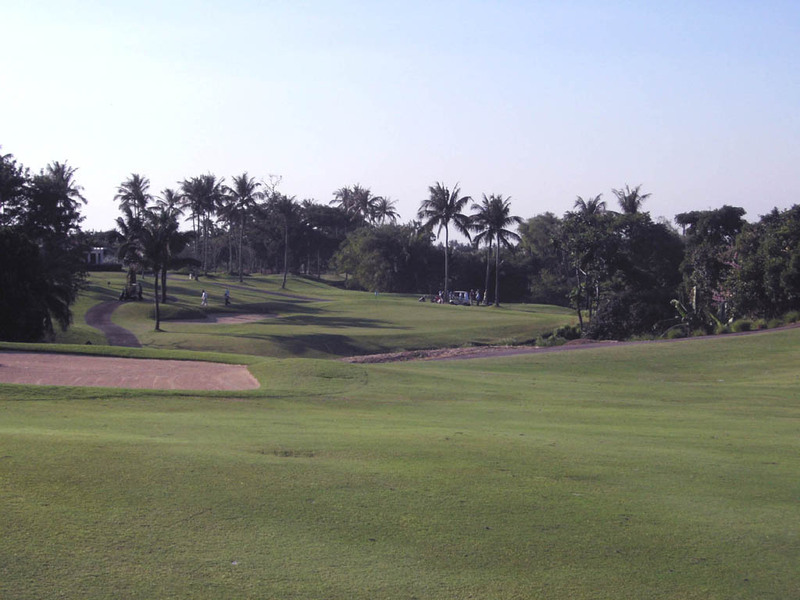 Because it is short, it is not difficult with 9 Iron or PW. 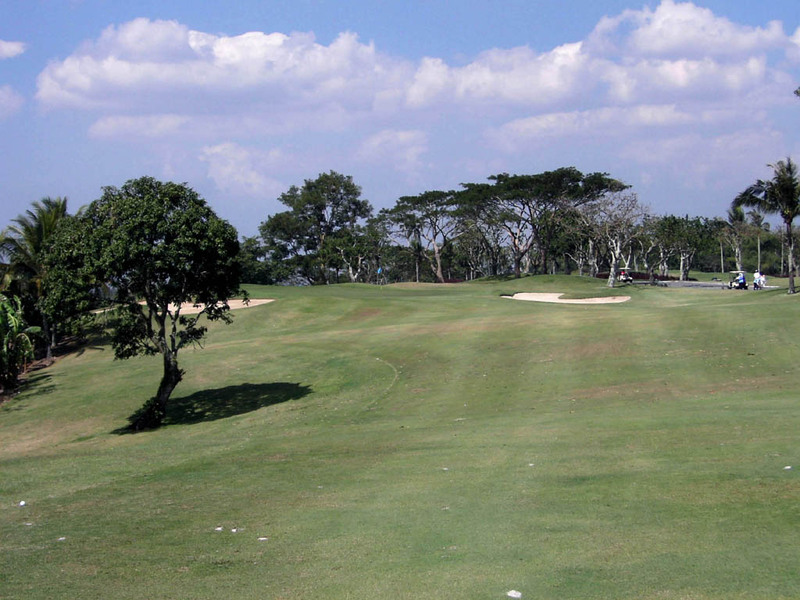 The fairway has strong undulations sloping from the left to the right. The second shot is gently downhill. The bunkers guarding the shallow green come into play. 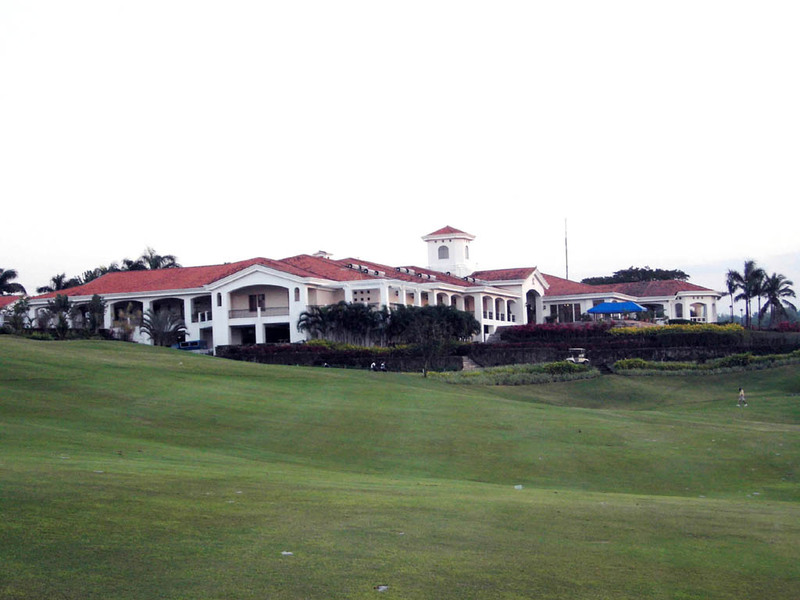 On the course, you never have any man-made structures in your sight at all except for the clubhouse, because it is surrounded by natural scenery. 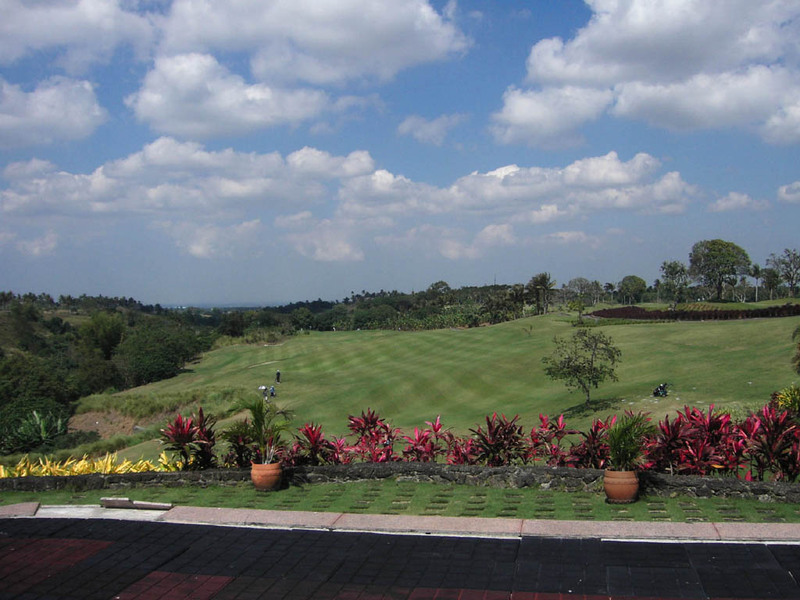 This tee is the only hole providing you with the view of a man-made structure, the clubhouse, which gives you a totally different sensation. It takes 80 minutes by car from Central Manila. The course was voted as the second best course in Philippines by Golf Magazine Asia in 2004. 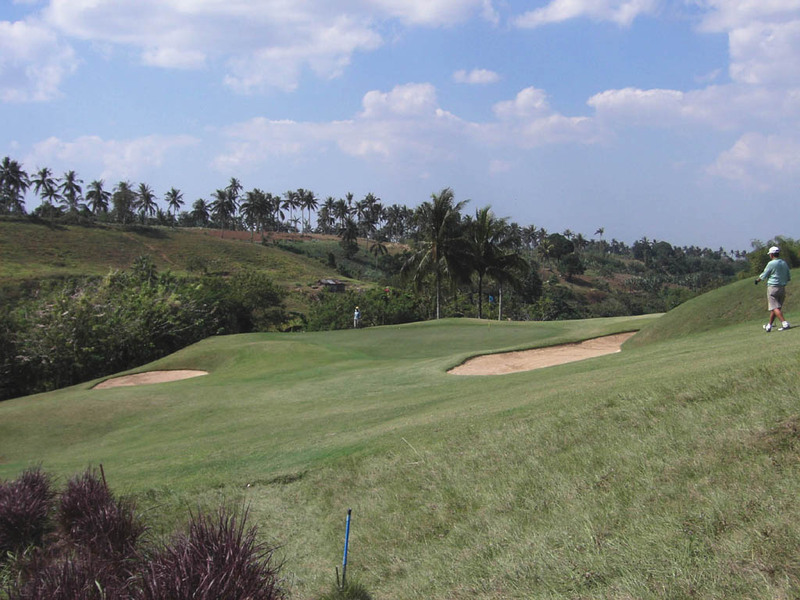 Bernhand Langer designed courses in Asia Lotus Hill GR in China and Tateno Classic GC in Japan.